Beauty Care Choices: Fun Reindeer Nails! These are so cute and so festive! I wish I was more coordinated and could manage to do these on myself. But I can do on at least one finger of my left hand and all the fingers of my cute little niece! These are too cute! 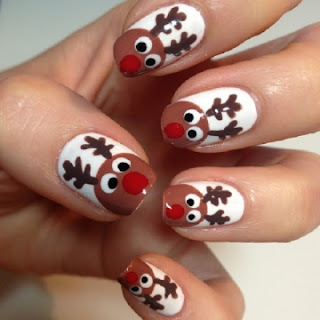 I think that I will be trying to recreate these tomorrow!